Depo Provera, an injectable contraceptive, is a very effective birth control method. Before starting Depo Provera, it's important that you're aware of common side effects, as well as the importance of receiving your Depo injections on time. It's also helpful to know what to expect after stopping Depo Provera. 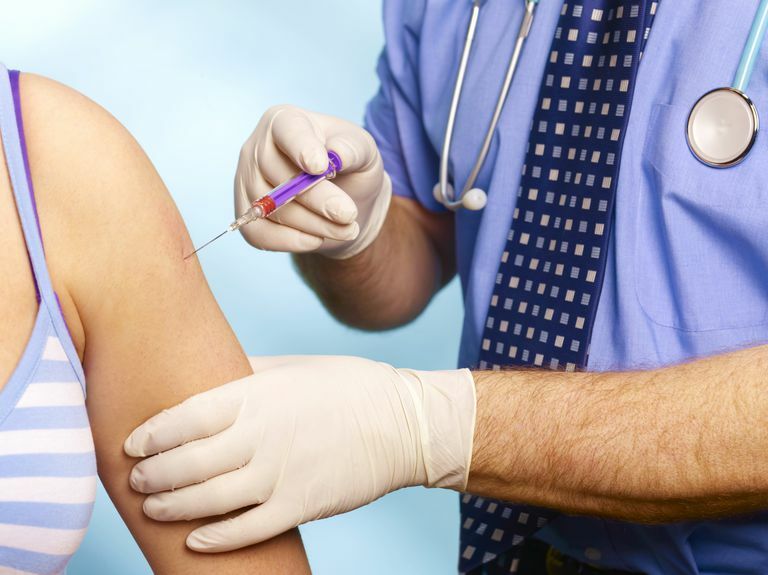 In order to receive your first Depo Provera shot, you will most likely need a physical examination, as well as a review of your complete health history with your doctor. This is because Depo Provera is considered to be a hormonal birth control method. Pfizer, the manufacturer of Depo Provera and Depo-subQ Provera 104, recommends that all women wishing to start Depo Provera should have a physical examination that includes a blood pressure check, examination of the breasts, abdomen, and pelvic organs, pap smear, and any relevant blood work. You should get your first Depo Provera shot during the first five days of your period to make sure that you're not pregnant. If you get the shot at any other time in your cycle, you should have a pregnancy test done to rule out pregnancy before starting Depo Provera. If you receive your first injection during the first five days of your period, Depo Provera will provide immediate pregnancy protection, so you won't need to use a backup birth control method. It's important to discuss the following information with your doctor before starting Depo Provera. There is the potential for irregular or prolonged bleeding while using Depo Provera—and unfortunately, there's no way to know ahead of time if you will experience this side effect. This bleeding may continue until the progestin from the depo shot wears off (which can take 11 to 14 weeks). You may just have some irregular spotting, or you may not have any bleeding issues at all. Spotting and continuous bleeding is the main reason why most women end up stopping Depo Provera. Research suggests that all bleeding (including your monthly period) typically stops for around 50 percent of women who use Depo Provera continuously for one year. After a year, that number rises to 70 percent. Women are more likely to continue using Depo Provera if they're counseled about these bleeding side effects before receiving their first Depo injection. Depo Provera has a black box warning that its use may cause bone mineral density loss. To help offset this possible calcium loss to your bones, do your best to maintain a healthy lifestyle. This includes getting enough calcium, weight-bearing, and muscle strengthening exercises, no smoking, and moderate to no alcohol while using Depo Provera. It's not uncommon for your body weight and fat to increase after starting Depo Provera. Because of this, make sure to discuss a possible exercise and/or diet plan with your doctor. Sensible eating and frequent exercise may help to minimize weight gain while using this birth control method. You can stop using Depo Provera at any time by choosing not to have your next scheduled injection. It's also suggested that you should stop Depo Provera use after you have been receiving injections for two years. Because of the potential for bone density loss, using Depo for more than two years should be carefully weighed against other available birth control options. You can fully discuss your options with your doctor. Keep in mind that each Depo Provera injection lasts about three months, so you will need to plan ahead if you want to get pregnant after stopping Depo Provera. It takes an average of 9 to 10 months, and for a small minority of women up to 18 months, to regain fertility and begin ovulating after stopping Depo Provera. You should stop receiving your Depo injections about one year before you want to become pregnant. Although it's possible for fertility to return once your last Depo shot has worn off, getting pregnant after Depo Provera use will most likely take a while. Being aware of these issues before starting Depo Provera may help increase your success with this birth control method. Many women report being satisfied with their Depo use. They love the no-hassle nature of only needing to get Depo injections four times a year as compared to taking the pill every day and appreciate that it doesn't contain any estrogen. You can even start Depo use while you're breastfeeding. Some of the side effects, like bleeding and weight gain, are reasons why many women report stopping Depo Provera use. Being prepared and knowing what to potentially expect can help you to decide if Depo Provera is the right contraceptive method for you. Cornet A. Current challenges in contraception in adolescents and young women. Current Opinion in Obstetrics and Gynecology. 2013; 25:S1-S10. Kaunitz AM. Depot Medroxyprogesterone Acetate for Contraception. UpToDate.